Prospective buyers of Bradenton homes for sale who fancy a boater’s lifestyle minus the million-dollar price quotes while still being classy would be happy with choices at River Harbor West. This community is a small, private enclave at the corner of 21st Ave NW and 88th Street Court NW, with equally stylish neighbors. Just across the street south of River Harbor West, Neal Communities has built the elegant homes at Wisteria Park. 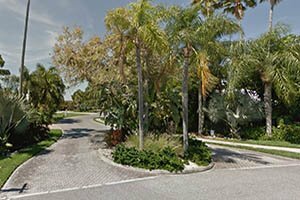 Adjacent on the block east of the enclave, on the other hand, the nine-residence Riverview Bluffs provides added samplings of sophisticated home choices in the northwest Bradenton real estate market. River Harbor West is a standout amongst its neighbors, as its acreage edges fronting north towards the mouth of the Manatee River. Given this enviable location, select residences in the community provide commanding river views as well as magnificent vistas of Tampa Bay and the Sunshine Skyway Bridge. Boating aficionados couldn’t ask for more in the homes for sale in River Harbor West. This waterfront community has a deep-water boat dock with lifts and could accommodate vessels of up to 40 feet. The boat slips are deeded to certain residences, and homeowners without such a facility can avail of leases in the Blenker’s Boat Works and Marina adjacent next to River Harbor West. Off the water, the amenities in River Harbor West include a clubhouse and community pool and spa plus tennis courts. The residents likewise enjoy maintenance-free living, with the HOA fees covering costs of shrub-trimming and lawn mowing, as well as basic cable. The residences of Riverview Harbor West are comprised of 35 single family homes each distinctive in their architectural designs either in one or two-story builds. Prospective buyers of Bradenton homes for sale drawn to this community could choose from Key West-style home renditions to custom-built dwellings. Picks of Riverview Harbor West homes for sale are typically builds during the 1980s and the 1990s. Their floor areas measure from between 2,450 and 4,100 square feet designed with three to five bedrooms and priced starting from the $300s up to the high $700s. 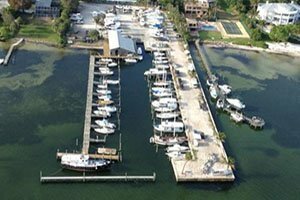 There’s much to enjoy owning a home and living in Riverview Harbor West for boaters and non-boaters alike. 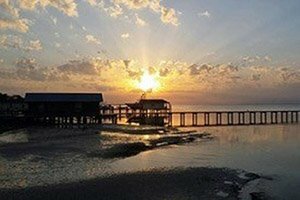 Located in the Palma Sola area, this community is minutes away from the popular DeSoto National Memorial, featuring kayak/canoe launches and hiking trails as well as history talks and demonstration. A few blocks west of the community, there’s the newly upgraded Robinson Preserve which provides plenty of outdoor activities on and off the water. Additionally, the beaches of Anna Maria Island a bit farther west are just as easily accessible either by boating or by short inland trips via Manatee Avenue West, just south of the community. The same road corridor is also gateway to many of the lifestyle centers and commercial hubs of Bradenton. These local amenities include the shops and restaurants at the strip malls on the corner of Manatee Avenue and 75th Street West, all only about two miles south of the amazing homes of River Harbor West. Below are the current real estate listings available in River Harbor West.